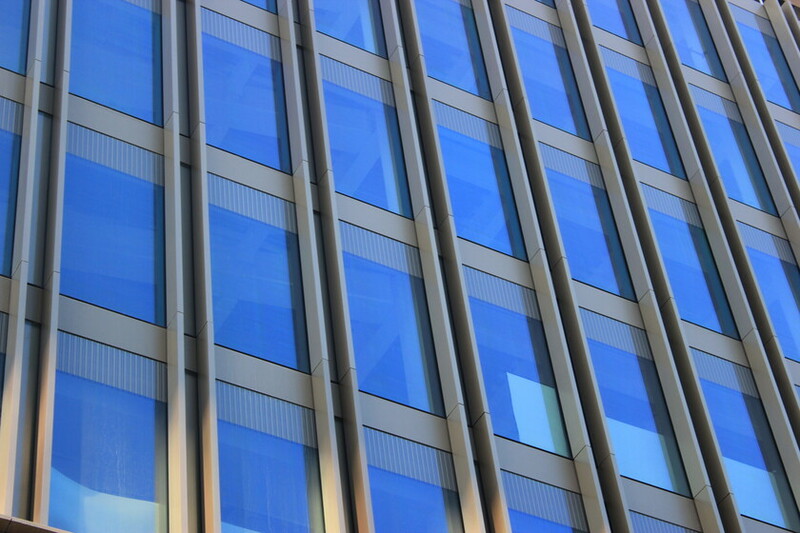 One West Regent Street delivers approximately 143,000ft² of Grade A office and retail space over eleven levels. 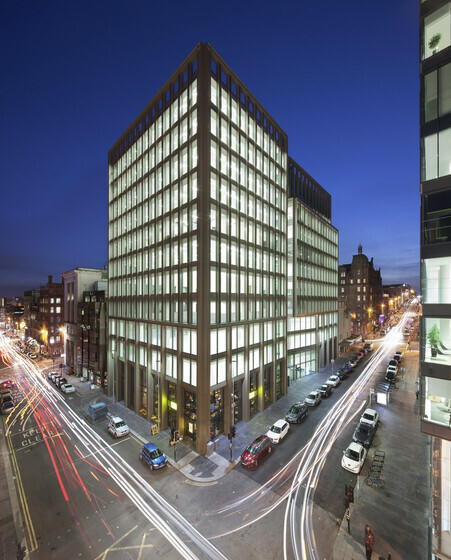 The development boasts an A rated EPC with a class leading 8 kg CO2/m²/yr located in the central core of Glasgow, near to Queen Street station and adjacent to the Buchanan Quarter retail scheme. The result is a dual element design incorporating the retained art deco frontage as a stand-alone hotel element adjacent to a 10 storey £29m office block. This incorporates 130,000 ft² of accommodation of exaggerated height thanks to vertical openings clad in polished cast Portland panels, extruded at the top to delineate a crown while lower floors contain retail elements. A vertical slit runs the full height of the north façade representing a ‘curtain’ being pulled open – intended to be akin to the folds in traditional cinema screen curtains. The building has been designed to maximise flexibility of letting configuration while aiming for a BREEAM ‘Excellent’ accreditation. In order to minimise energy consumption, careful façade detailing was informed by computer thermal simulation.